Holiday Shopping Tips to Help You Get Ahead! Holiday Planning Just Got Easier! The holiday season is upon us, so it’s time to start making plans. 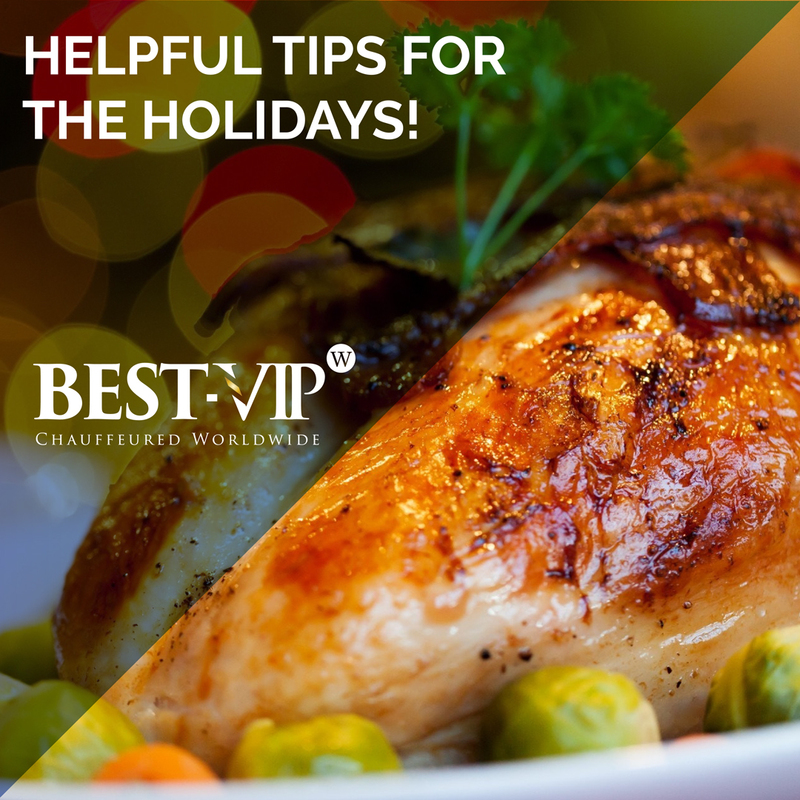 With family gatherings, work parties, traveling, cooking and shopping, the holiday season can prove to be a bit stressful. Holiday planning can be a logistical nightmare! 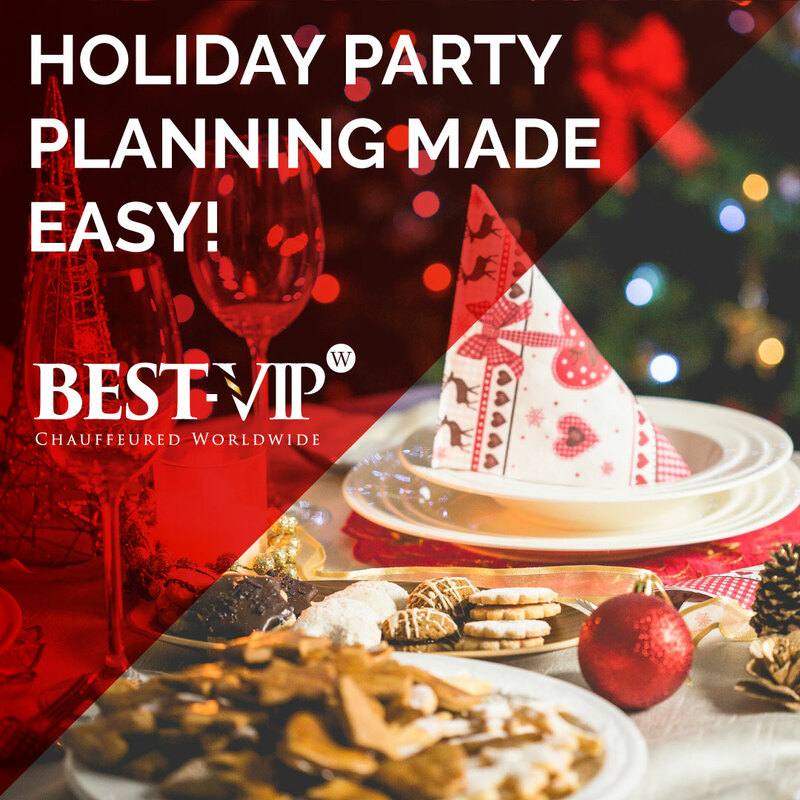 Though the holiday season provides the opportunity to spend precious time with family and friends, there’s a lot of planning and time management that goes into it, particularly for those who bear the brunt of the hosting duties. To help manage your sanity, we’ve created a list of ways to make holiday planning for your event easier and allow you to not miss the day with loved ones. Los Angeles Transportation with BEST-VIP! Book Your Los Angeles Transportation with BEST-VIP! Visiting California? 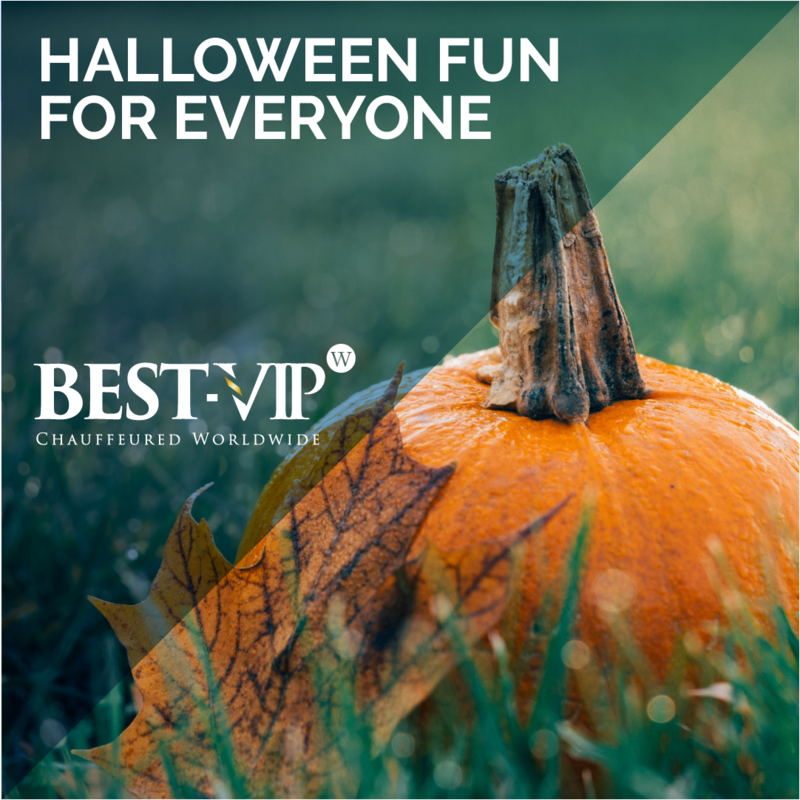 BEST-VIP Chauffeured transforms your visit into an experience to remember! In Los Angeles you can see famous sights such as the Hollywood Sign, the Getty Center, Santa Monica Pier, Rodeo Drive and many more with our Los Angeles transportation. 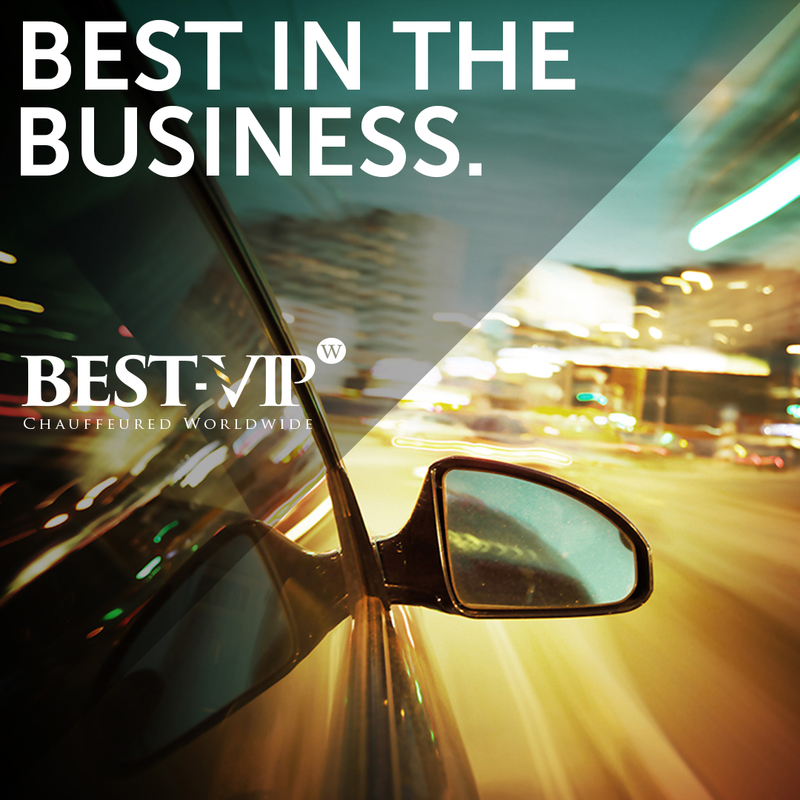 BEST-VIP chauffeurs are highly qualified with expert knowledge of the places you want to see. If you’re visiting for a corporate meeting or convention in LA, your chauffeur’s first priority is to get you to your destination safely and on-time. Whether you’re traveling for business or pleasure, we’ve compiled a list of the Top 3 spots in Los Angeles to make the most of your visit! Fun at Football Games This Fall! To many people, Fall means Football. It’s been almost 100 glorious years since the NFL‘s inception in 1920. The league started as a fledgling endeavor and has gone through many trials and tribulations but is now firmly entrenched as the No. 1 sport in North America. While football has yet to grace the world over, some Americans believe it to be the best and most exhilarating game in the world with some fans going far and wide for football game travel. Why? Let us count the ways. While most people traveling are worried about events leading up to departure, (like did they remember their toiletries, travel documents, phone charger?) hardly any think about the transportation to their destination once they have arrived! Once you’ve arrived to your destination, the last thing you’d want to do is wait in line for a taxi or hope your driver from a ride-hailing app will be able to locate you in the correct terminal. Taxis aren’t always readily available, and apps aren’t always reliable – that’s when a professional chauffeur service like BEST-VIP is ideal to have waiting for you and stress less! OC Date Night Dilemma Solved with BEST-VIP! July Fourth Celebrations for All to Enjoy! Although the start of summer is the summer solstice in June, it seems the real kick off to summer is the July Fourth! Independence Day, also referred to as the Fourth of July or July Fourth commemorates the adoption of the Declaration of Independence on July 4, 1776. It is a day to be surrounded by friends and family, honoring the land of the free and celebrating with activities like Barbecues, 5K runs, parades and boat cruises. 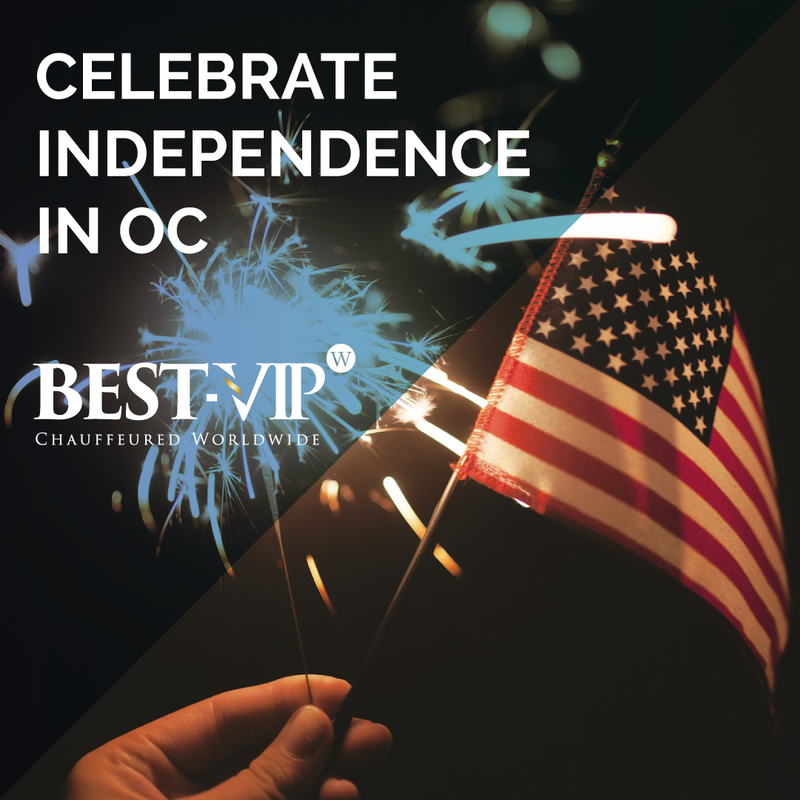 BEST-VIP has compiled a list of various Orange County locations to celebrate Independence Day, and whether you’re a California native or visiting on vacation – there’s something for everyone!